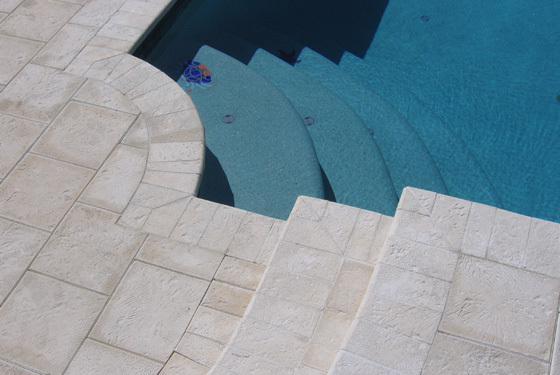 Specifically designed for the pool market, Artistic Pavers have a proven track record in providing an unequalled product. The warm earth tones are aesthetically pleasing, cool on your feet and will complement any style of architecture. 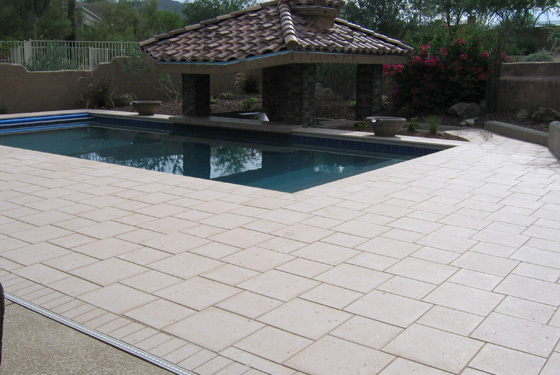 Available in 16”x16”, 12”x12”, 8”x12”, 8”x8” and 4”x8”, Artistic Pavers allow the owner create many different patterns that will give your pool deck a unique appearance. 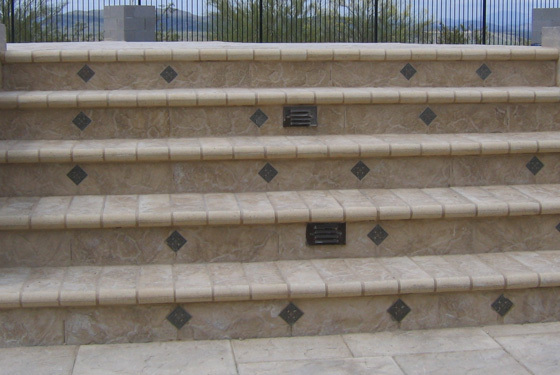 There are many styles and colors available to satisfy your design needs but just as important, IT WORKS. You can walk on it in the Arizona summer. The pavers are installed on sand as part of a flexible paving system so you will not get cracks. 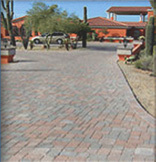 Artistic Pavers come in a large selection of coping options unlike any paving product available in our market. 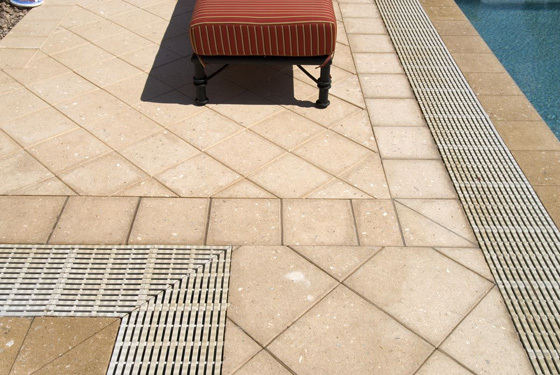 Artistic Pavers can be used in both residential and commercial applications and bring real beauty while being functional. 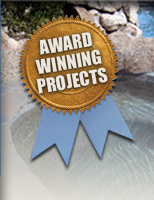 Come to our showroom to see and discuss any of your paving needs.